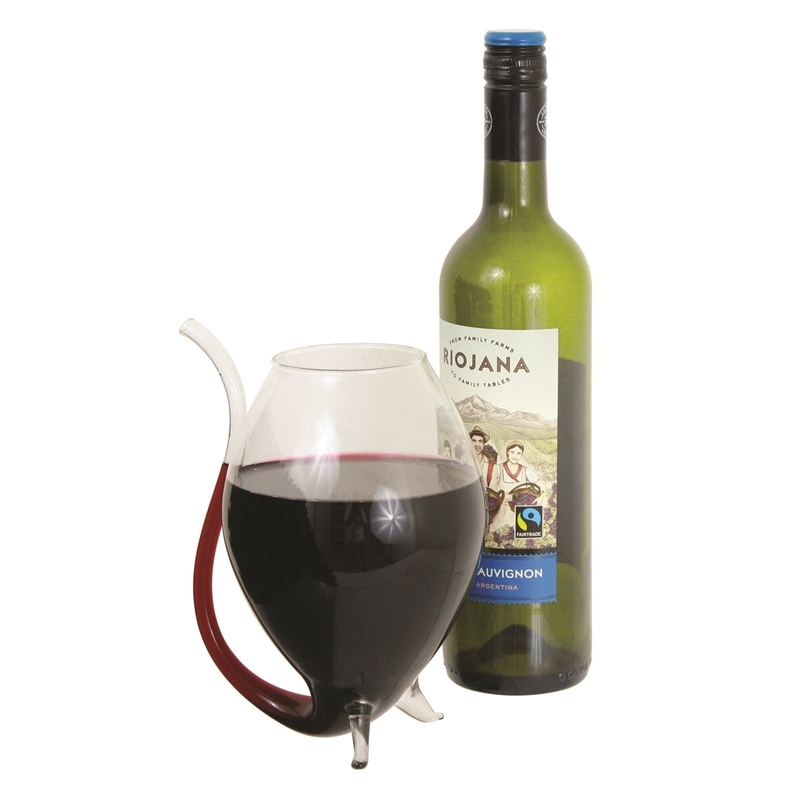 From the makers of the Wino Sipper comes an all-new advancement in drinking technology: The Wino Guzzler! Just like its predecessor, the Wino Guzzler features a built-in glass straw, perfect for sipping your favorite beverage. However, all winos know that sometimes a sip just isn't enough, so the Guzzler's enhanced design now holds a full 750ml bottle of wine! Thanks to the Wino Guzzler, the days of being coy and pretending you aren't going to finish the bottle are over!